Asda reported a 4.5% dip in like for like sales for the third quarter, as it faced pressure from the rise of the discounters, squeezed consumer spending and the impact of unseasonably warm weather on clothing sales. The result came in what CEO Andy Clarke said was a "challenging" period, which was only marginally better than its second quarter 4.7% sales drop - the worst in its history - and what Clarke vowed was its "nadir". The business has pledged to take action as part of a Project Renewal strategy launched last month. As part of this Clarke revealed the Price Guarantee scheme would be put under review. Marketing understands a decision on how to take the loyalty scheme forward will be completed in the first quarter of 2016. Asda also revealed this month it would trim down its product range by around 10%, suggesting branded suppliers will face some tough negotiations with the retailer. Black Friday has also been reined in after fights in store last year. "Last month I launched Project Renewal, an 18-month programme designed to work parts of my five year strategy harder to return us to long-term, sustainable volume growth," Clarke said. "Increasing our focus on the core business means strengthening some areas, while pausing activity in others, will allow us to sharpen our customer offer and continue to improve operational efficiency. 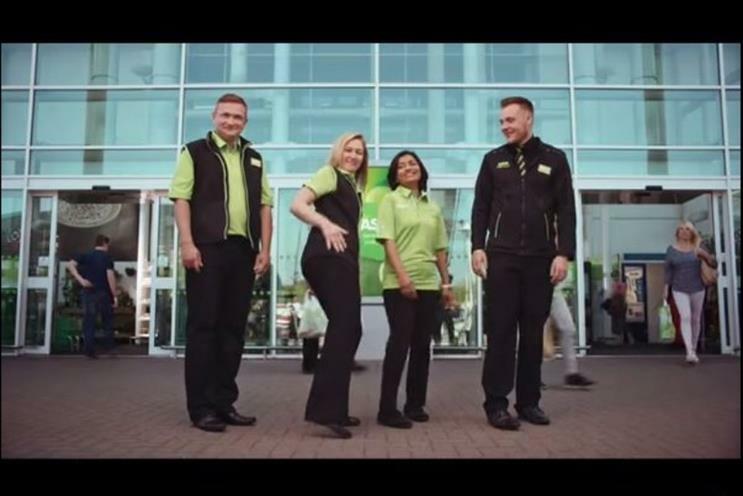 He added that the 'relaunch' of the Asda brand via the introduction of aspects of the Walmart logo and its new campaign was "already receiving great feedback from our customers as we are rebrand our stores and advertising to a new position." In July it brought back the 'pocket tap' after a hiatus. Christmas and 2016 would continue to be challenging, Clarke added.